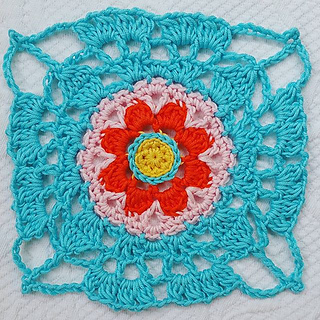 The Boho Blossom Square is a feminine, floral & lacy take on the traditional granny square. 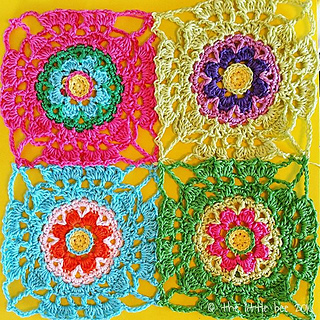 While the square has been designed to incorporate the use of colour, it is equally as beautiful worked in a single shade. 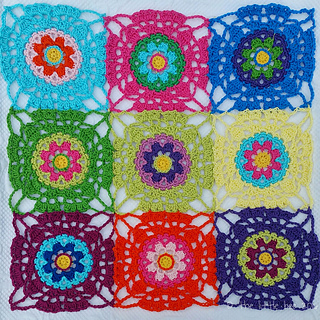 Join multiple squares together to create vintage style blanket with a modern touch, or a fab cushion cover, scarf, tablecloth, curtain… The possibilities are endless! 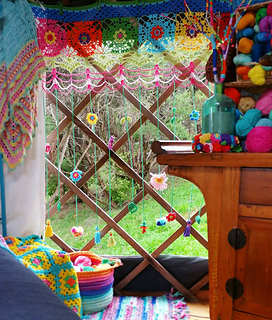 * The yarn featured in this pattern is Rico Essentials Cotton DK. Approximately 1 hour per square.